Vohu, also known as Haven, was dominated by a partially ruined mega city. The planet itself rested just outside the edge of human space. 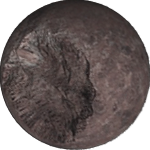 While it had often been at the axis of conflict, there was finally peace on Haven before the leaving of Eclipse. All factions had been in negotiations, and representatives were reporting a growing unity. No one wished to revisit the dark times, and it seemed like a new society would be born. One that was inclusive, with equality for all races and backgrounds. The Aeshma once made their home on Keret. It was covered in huge, shallow oceans with lush islands. 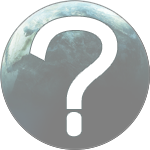 News from Keret had slowed to a trickle in 163 AGW, and all of that was rumor as they had sealed their borders. No caravans had entered or left Aeshma space in some time, and there was no official communication with their government. Aeshma around the galaxy had been traveling back to Keret. Those leaving Haven had no information to share, they had received orders from their Jaati to return home. Repeated efforts to contact the Aeshma had either been rejected, or disappeared. Tribes ambassadors were politely escorted from Keret space. Once the home of the Kshathran, Vairya was mountainous and severe. In 162 AGW, Vairya came under attack by one of the Thinking Machines spaceships, also called World Destroyers. 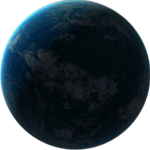 In their darkest hour, the ship was miraculously destroyed and though the falling debris gave heavy damage to the planet’s surface, the Kshathran have begun rebuilding. 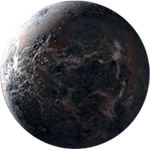 Vairya was the only planet to have survived such an attack aside from Eclipse. Asha, an uninviting, rocky and cold world, was once the home of the Dahhak. In 162 AGW, in a moment of pure, unsolicited selflessness, the Dahhak race on Asha, as a whole, reportedly imploded their planet in an effort to buy the rest of the galaxy more time to prepare for the invasion of the Thinking Machines. The remaining members of the Dahhak race regrouped on Vohu largely, though some refugee camps can be found on Eclipse. 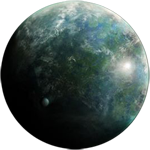 An arid and hot planet with few resources to offer, Trita was once the home world of the Midir. When the invasion of the Thinking Machines first breached the Origo galaxy, Trita was the route by which they came. The Midir had anticipated this, and knew what their sacrifice would mean. 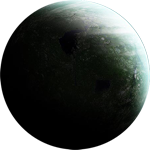 The Aeshma claimed Trita for purposes unknown to the rest of the galaxy. All travel to the planet was restricted and enforced by the Aeshma before Eclipse left the galaxy. Neith was home to the Nasu. It was a world of extremes, mostly comprised of deep, dark oceans and soaring mountains. Though there were cities above water, they were primarily for visits from other species. Their true masterpieces were underneath the waves where many Nasu feel most at home. It remained safe from the threat of the Thinking Machines, with many refugees flocking to its gate for sanctuary. 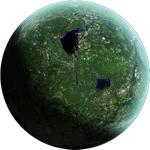 Lethe was a jungle planet, and home to the Yazatas. Most of their civilization was built up in the trees. Communications equipment, fighting and logistics vehicles, and a vast amount of weapons and munitions flowed to the war fronts from Lethe and the work of their scientists.